Just click the link above and head on over to the Lanreg page to choose your seat. Make sure you’re aware, though, this year seating is assigned. The seat you choose on the lan reg page is the seat you will be reserving at the event. If you will be attending with your friends, make sure you coordinate with them so you all can sit together. There are only 180 seats available, so make sure you get your tickets now. 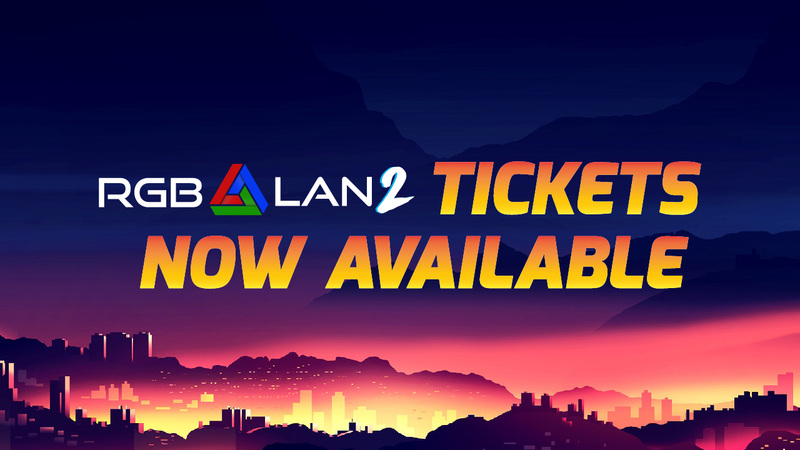 RGB LAN 2: Return of the LAN is set to be an incredible LAN. After our event last year we sent out a survey and asked for some feedback. The responses we received were fantastic, and that’s why I want to share some of the improvements you’ll find at RGB LAN 2: Electric Boogaloo. Increased Internet Speeds: Sure, we’re here to LAN but a faster internet just makes everything that much better. After a lot of asking, we can confirm the convention center has new and improved internet and we’re looking forward to using up much more if it than even they anticipate! A better tuned points system: Last year was our first time creating the meta game that defines RGB LAN. There were a few hiccups, and as some of you remember also a landslide victory for the Red Team. We’ve taken a closer look at how we do the scoring, and we promise there will be more opportunities to gain points in a much more balanced way! A Greater Presence from our Charities: Many of you wanted to know more about the charities we supported last time and were disappointed last even that there weren’t more opportunities to interface with them. With this event we have invited members from the charity to attend and we’re looking forward to giving you the opportunity to learn more about these great organizations! Tabletop Gaming: For those looking to get away from their screens for a little while, we will also have a tabletop and board game section complete with at least one Magic The Gathering tournament! An RGB LAN Livestream: We’re still working out the details on this one, but with the increased internet speeds we’re also looking to host an RGB LAN livestream you can share with your friends so they can see how great this event is! We’ll likely have more information on this in the future, but just know: Good things are coming. So Much More: We have a lot more in the works for this coming event, but we can’t share them all just yet. Our team is hard at work making sure the next RGB LAN is the best RGB LAN. We’re looking forward to seeing all of you there. Once you get your tickets, make sure to check out our Discord channel and add yourself to the correct team color. Get organizing and planning. We want to see that team spirit! Don’t forget to check out our Facebook, Twitter, and Instagram for all your social media goodness, and let your friends know! We’ll have more announcements to come and we can’t wait to see you all at RGB LAN 2: Rise of the LAN!